Discover the stories in Israel’s stones. Deepen connections to your faith. Explore Israel from its history to its hummus. Allan Rabinowitz has been an Israeli tour guide and tour educator for thirty – plus years. He is also a novelist, travel writer and journalist, and an avid hiker and hiking guide (and a blues guitar player). With thirty years of guiding churches, synagogues, inter-faith groups, academic courses, scientists, journalists, business execs and private families throughout Israel, I can craft an individualised tour matching your interests, needs and particular passion. Read his Jerusalem Post travel pieces in Archived Articles. 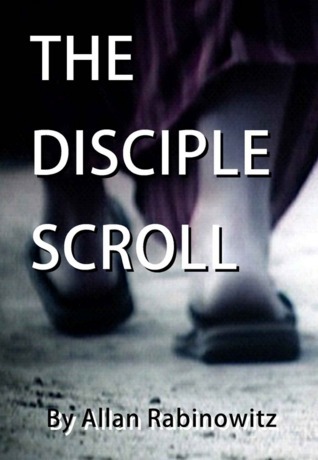 Check out a segment of and reviews on his historical novel, THE DISCIPLE SCROLL on Amazon. Follow his new and ongoing blog, On The Goatpath, with its travel pieces, cultural essays, stories and travel tips. © Allan Rabinowitz. All rights reserved.